Two high-ranking members of the Association of Garda Sergeants and Inspectors (AGSI) are staying away from its annual conference, due to get under way today, as a result of allegations that another member is under internal investigation. The member is alleged to have been involved in security consultancy work, which is contrary to the force's regulations. The AGSI confirmed last night that the allegations had been reported to the Garda authorities through protective disclosures and said it would not be commenting further as it was important that due process take its course. However, association vice president Paul Wallace and deputy general secretary Antoinette Cunningham have both opted not to attend the conference. The allegations have resulted in a big rift in the AGSI's leadership, but the three-day conference is to go ahead as planned. The association's national executive met for almost four hours last night in Ballyconnell, Co Cavan, where the conference is being held. This meeting is held annually on the eve of the conference, but last night's agenda was dominated by discussions on the allegations, which became public at the weekend, and how to deal with them. Some members felt that their colleague at the centre of the allegations should not be involved in the association, pending the outcome of the Garda investigation. However, this was not the majority viewpoint on the executive. 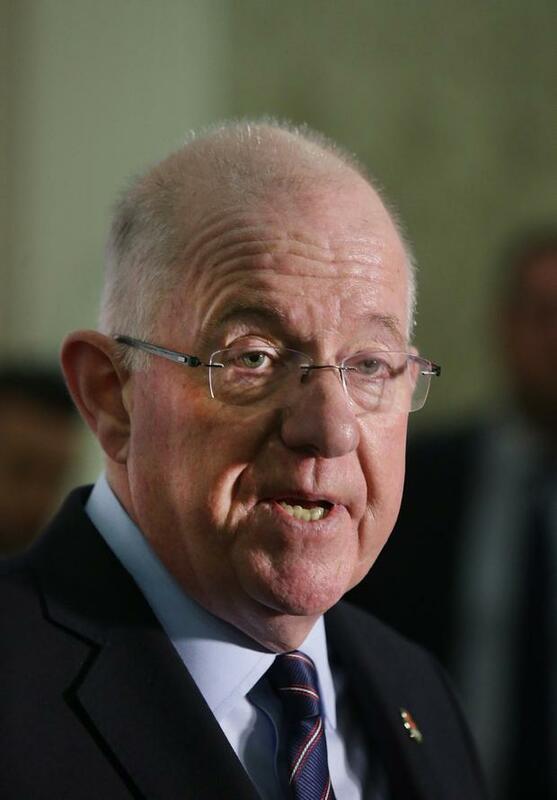 Most of the executive were adamant last night that the conference should go ahead today and be addressed, as planned, by Justice Minister Charlie Flanagan this evening and Garda Commissioner Drew Harris tomorrow. It is alleged that the AGSI member at the centre of the allegations was involved in security consultancy work for Coolmore thoroughbred racing stud in Co Tipperary in 2016 and 2017. Private employment in the security industry is one of the areas prohibited for gardaí.